So Dogwood supporters who live, study, and work at SFU are organizing on Burnaby Mountain. With 266,469 supporters across BC, we are the province’s largest network of organized voters and residents. We tell stories about the risks of this project, identify people who share our concerns, and demand our elected officials step up to protect our community. 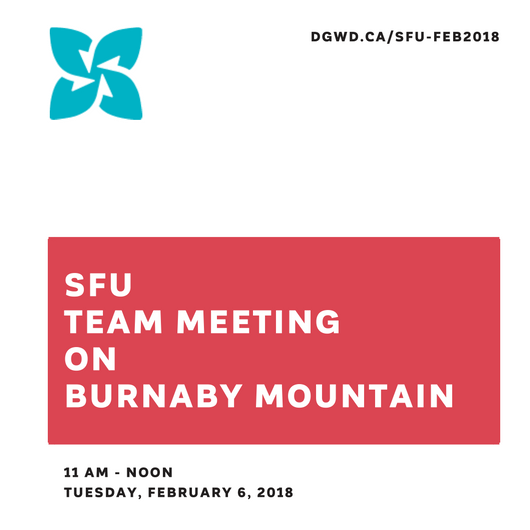 Come to the next meeting of the SFU Dogwood Team on February 6, 2018. We’ll meet at 11 AM in the TASC Complex on Burnaby Mountain (room number still to be confirmed). Decide when and where to meet next. All students, staff, faculty, and residents of Burnaby Mountain are welcome. International students and permanent residents are welcome.